1) Taiwan Bento’s (412 22nd St., Oakland) self-proclaimed soft opening period ends this Friday, August 29, but co-owner Willy Wang tells me that the Taiwanese lunch spot will keep things fairly low-key even as they head into their “hard” launch. The Uptown restaurant’s streamlined opening menu features four “bentos” (lunch boxes), beef noodle soup, and a few side dishes, and Wang said they’ll likely continue to serve only lunch (Monday to Friday, from 11:30 a.m. to 2:30 p.m.) at least through the first couple of weeks of September. New menu items and expanded hours will be rolled out slowly. Next on the agenda (but probably still about a month away): boba drinks. 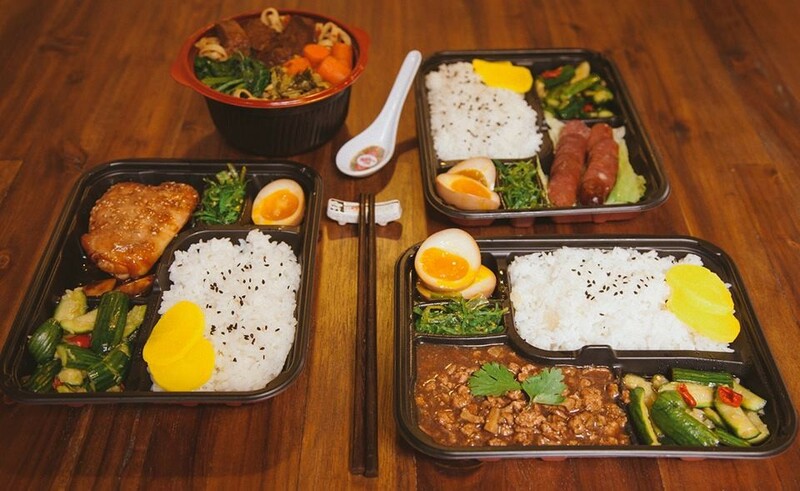 Read more about Taiwan Bento here. 3) Scarlet City Espresso Bar (3960 Adeline St.), the first brick-and-mortar coffee shop for the Oakland-based roaster, is now open in Emeryville, Berkeleyside Nosh reports. The E’ville Eye has a nice profile of the business, which buys all of its coffee beans from women-owned farms in South America. 4) A quick update: Bay Grape (376 Grand Ave., Oakland), a new wine shop previewed on What the Fork a couple of weeks ago — rumored to be opening very soon — is now officially open. 5) Also new in Oakland: A still-unnamed chocolate shop and cafe focusing on American-made chocolate bars will open in the Rockridge space currently occupied by Bittersweet Cafe (5427 College Ave.), Inside Scoop reports. David Salowich, the owner, currently heads up Bittersweet’s chocolate and retail program. Look for Salowich’s solo venture to open sometime in October. 6) Uptown Oakland’s Hopscotch is hosting a pop-up Pig Pickin’ party this Thursday, August 28, from 6 to 10 p.m. (or until they sell out). Chef Kyle Itani will be roasting a whole pig in a La Caja China; a $20 ticket will buy you a plate of pork, salad, cornbread, and a pint of Fort Point Beer Co.’s Manzanita Altbier. Additional side dishes, beer, and shots of whiskey will be available a la carte for $5 a pop. The event will be held at Hopscotch’s annex space, a couple of doors down from the main restaurant, at 1911 San Pablo Avenue. 7) Local chef and food educator Samin Nosrat is giving a talk tonight, August 27, from 6-8 p.m., at the Temescal Mexican restaurant Doña Tomas (5004 Telegraph Ave., Oakland). The event is sponsored by Alice Waters’ Social Eats program, which seeks to educate “Bay Area young professionals” about the food system. Tickets are $15, and some small bites will be included. 8) Last week I gave a quick plug for the “Taste” event that’s coming up on Saturday, September 13, in which several of the East Bay’s high-profile female chefs will be cooking to raise money for the nonprofit Girls Inc. Pican chef Sophina Uong reached out to say that she’s currently looking for about ten volunteers (preferably with some culinary experience) to help plate food for the event. 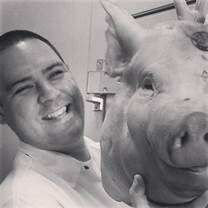 If you want to help out, shoot Uong a line at sophina.uong@picanrestaurant.com. 9) The big news out of Copenhagen at this week’s MAD Conference, an annual symposium for the food world’s most influential chefs and thinkers, is that Roy Choi (the Los Angeles food truck and restaurant mogul) and the Bay Area’s own Daniel Patterson are embarking on a somewhat surprising collaboration: The two will work together to create a healthy fast food chain called Loco’l, which they hope will be able to compete with the likes of McDonald’s and Burger King in the food deserts of California and beyond. The Chronicle reports that the first location is planned for San Francisco’s Tenderloin district. 10) Finally, ICYMI, Anula’s Cafe has been forbidden from cooking meat, and East Oakland’s most famous hot dog and grilled links cart serves an Oakland original: a fully-loaded pastrami link.